Paulo Bento has just been employed as South Korea’s new national team manager, and it seems like the first thing he did was get on the blower to South Korea’s team captain Ki Sung-yueng to talk him into still playing for the national team for the foreseeable. Bento stated during his first press conference that, "Ki will be selected for the upcoming friendlies," he said. "He is not only the team captain but has an important role making plays on the pitch." Ki came out after South Korea had been eliminated from the World Cup to say that he is contemplating retiring from the national team. His main reason for this was flying back and forth from Europe to Korea has been taking its toll on him. He seemed to indicate that if South Korea wanted him for the Asian Cup he would go and play, but after that his thoughts were of retirement, could Bento have talked him out of the idea of retiring, or could Ki’s initial thought of retiring was just a reaction to South Korea performing badly at the World Cup, until their last group game? New manager Bento said that Ki will be in the squad for the games against South Korea and Chile, not only because he is the team captain but he also plays an important role making plays on the pitch. Ki’s passing ability would be a huge miss for South Korea so we can see why Bento doesn’t want him to retire as he takes over the reins because he would be difficult to replace. With a lot of talented youngsters coming through the South Korean national team setup then someone like Ki is also valuable in guiding them because of his wealth of international experience. We believe, that despite Ki’s comments about retiring after the World Cup that he will still be in the squad for the Asian Cup in January. His comments after the World Cup are really starting to sound more and more like an emotional reaction to an outcome none of the South Korean players wanted. The Asian Cup runs in January which means if Ki is selected to represent the South Koreans then he would miss Premier League matches for Newcastle, as he still hasn’t made his Premier League debut yet it might not be an issue, but once the Toon are that far into the season more of the clubs squad players will have been utilized no doubt, and with Diame getting some negative reaction his debut could come sooner rather than later. I’ve seen a lot of people get confused between the Asian Cup and the Asian Games. The names are very similar to be fair, so European based football fans have every reason to be slightly confused by it all. However, the Asian Games is a multi-sport event like the Olympics that has U23 football. So the difference is that the Asian Games is basically Asia’s Olympics and the Asian Cup is Asia’s European Championships. 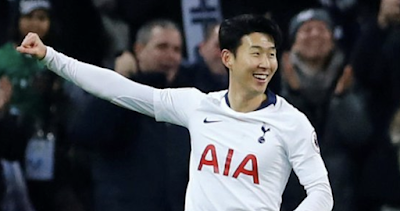 The reason the Asian Games has got so much media publicity in Europe and other parts of the World is that Tottenham’s Son is very close to being called up to complete his mandatory military service meaning Spurs would lose him for two years unless he wins the Asian Games that he is competing in now. Without such a high profile player in the tournament and being desperate to win, the Asian Games wouldn’t generate much attention in Europe. We believe Ki won’t retire from international football just yet, and that what he said after the World Cup was just an instant emotional reaction to being eliminated from the World Cup. It’s to be seen how much this would affect Newcastle’s season and that all depends on whether or not Ki can break into the first team and establish himself as a regular at St. James’ Park.